They are widely diverse, not only in what events the writer attended, what he or she saw and felt, but in the writers themselves. There are first-timers and long-termers, there are women and men, there are POC and Whites. There are reports in prose and reports in verse, reports from people who went to panels and reports from those who ran parties, reports that rhapsodize about WisCon 33 and reports that critique it, or indicate that it is not always a coming-home and recognizing-the-tribe experience. These are strong, clear voices showing that the experience of WisCon is multi-hued and complex. The word's been out for some time now that we're living in "post-feminist" times. And yet the world's largest feminist science fiction convention, held annually in Madison, Wisconsin, which many of the genre's luminaries attend, has become so popular that the ceiling limiting attendance to 1000 participants often tops out months in advance. People attend to meet up with friends from other parts of the country (or the world) whom they've come to know online; they attend because the programming goes far beyond the "feminism 101" that is the most they can hope for from most other science fiction conventions. But above all they come to experience the kind of community they can't get elsewhere. Some participants even characterize it as four days of feminist utopia—a reference to the communities created in the most famous feminist novels of the 1970s. 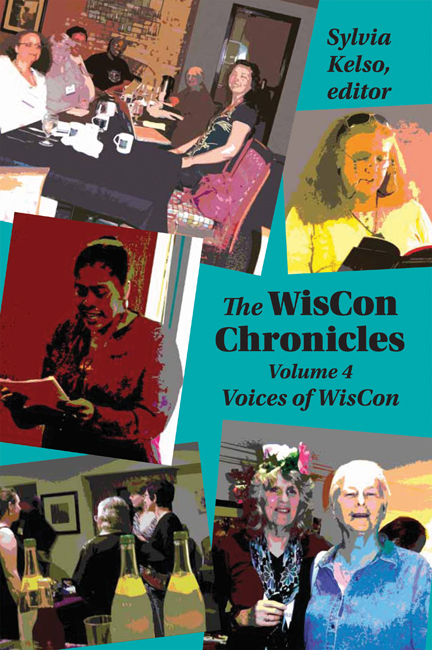 This volume of the WisCon Chronicles celebrates, challenges, and discusses the varied faces of WisCon 33. Its contributors include a mix of writers, scholars, and fans, among whom number Nisi Shawl, Nancy Jane Moore, Andrea Hairston, Jennifer Pelland, JoSelle Vanderhooft, MJ Hardman, and Beverly Friend. It also, notably, includes a handful of short stories. And as with previous volumes, it does not shy away from controversy. *Publication of this book was partially supported by a grant from the Society for the Furtherance & Study of Fantasy & Science Fiction (SF3). "As usual, we have a grab bag of interesting and at times emotionally affecting content. I very much enjoyed the focus on Tiptree Award winner Nisi Shawl and her experience at the con, as well as the experience of her mother who came along to share the event and contributes a letter about what it was like for her… The mixture of 'event record' and after-the-fact discussion is one of the great strengths of these books. “'Up Off Our Couches: Mental Illness Activism and Speculative Fiction' by JoSelle Vanderhooft was an extraordinary essay about the portrayal of mental illness in pop culture, and the perceptions of mental illness in everyday community, and how these two things intersect. This is a topic very dear to my heart and the article was crunchy and thought-provoking. "With 'Haiku Earring Party' Elise Matthesen describes how this now-traditional WisCon party (in which attendees write poems in exchange for handmade pairs of earrings) got started, and shares some of the special moments she has experienced over the years. I found this story really sweet and inspirational, and I think it shows very much how WisCon differs from other conventions. “'Romance of the Robot' by Andrea Hairston was a great analysis of Wall E (and some other examples of robotic romance) and I will now not be able to look at that movie without interpreting Wall E and Eve as lesbians! "The highlight of the book for me was 'We See What You Did There,' a group chat among various POC about their various experiences at the convention, and discussing their relationship with WisCon as a continuing event."